The city of Melbourne is a city that has undergone immense morphological change since its formation. 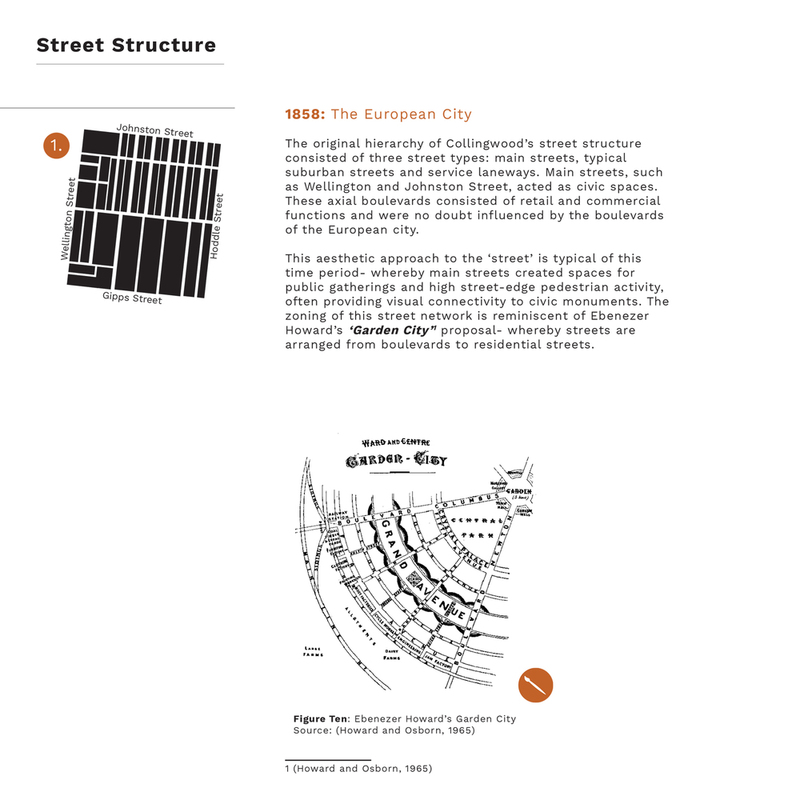 From its initial establishment that came with the Hoddle Grid, Melbourne has transformed into a hybrid-city: a morphed urban landscape whereby its original Victorian urban planning is placed into contrast with Modernist and contemporary planning principles. Specifically, the suburb of Collingwood is a precinct which typifies this amalgamated application of urban design theory, so commonly witnessed throughout Melbourne. Since the first subdivision of lots in 1838, Collingwood’s urban landscape has borne witness to rapid morphological change: from its days as an industrial powerhouse, to a poverty stricken slum, and eventually into a gentrified and sought after inner-city suburb. The following report aimed at unpacking the morphological transformation of a large portion of Collingwood. 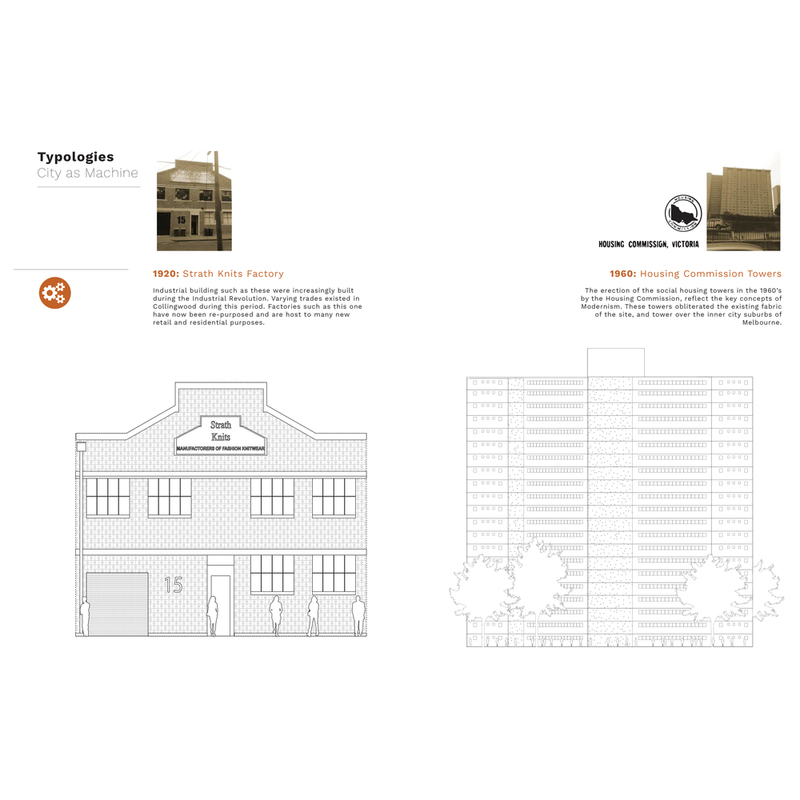 The history of the chosen site (bordered by Hoddle Street to its east, Wellington Street to its west, Gipps Street to its south and Johnston Street to its north) reflects key periods of urban design theories that were put to practice in the typical Australian city.